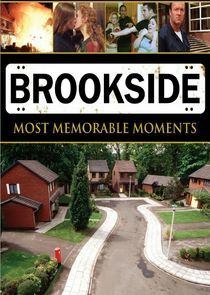 Brookside is a British soap opera set in Liverpool, England. The series began on the launch night of Channel 4 on 2 November 1982, and ran for 21 years until 4 November 2003. Originally intended to be called 'Meadowcroft', the series was produced by Mersey Television and it was conceived by Phil Redmond who also devised Grange Hill (1978–2008) and Hollyoaks (1995–present).